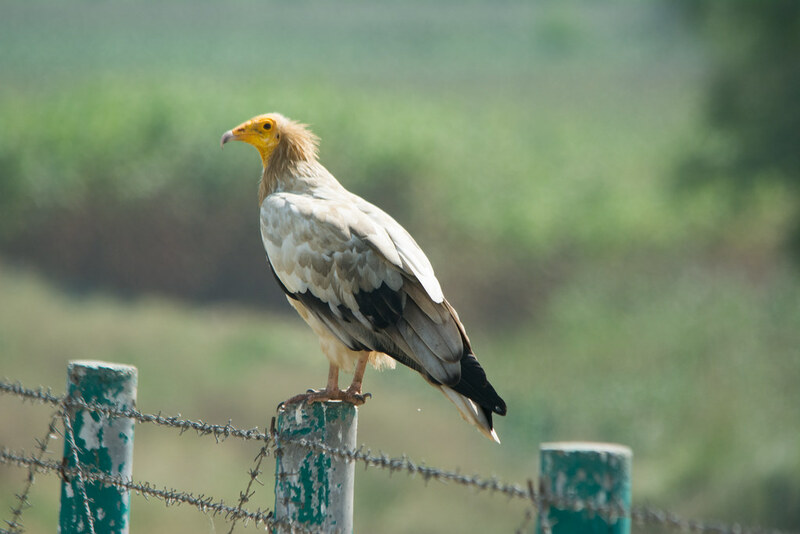 Recently I was driving down the Greater Noida Express Way and spotted an endanger specie of bird the Egyptian Vulture. The bird is native to Churu district in Rajasthan and spotting it so far from its native place was sheer luck. What's more I had may 150-500 MM sigma lens. There was only one logical conclusion for me. Stop and take a photograph. Given that the 500mm lens on a crop body acts as a 750 mm equivalent lens, I got quite a photo. I was able to get reasonable close to the bird and even at F10 the DOF was so small I barely got the whole bird in focus. Below is an image of the beautiful bird.